Accommodation is provided at Rekstensamlingene. We have five apartments available for a total of 10 students. Two students per apartment. 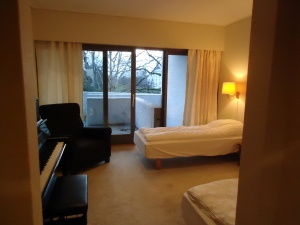 The flats are equipped with separate bathrooms, twin beds and an upright piano for rehearsal. The academy has 11 good quality pianos available for the students. These include Bechstein, Bohemia, Boston and Petrof. 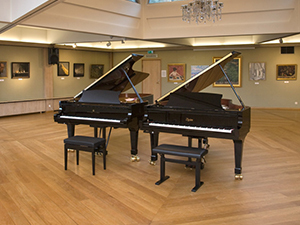 The Steinway is reserved for tuition and concerts.